In light of the rumoured development of a Warcraft 3 remaster, it seems the original game deserves some time in the spotlight. When it comes to games that defined a genre, most would look to Super Mario Bros, Legend of Zelda, or Elder Scrolls 3: Morrowind. However, despite being relegated to the shadow of World of Warcraft, Warcraft 3 and its expansion changed the modern gaming landscape as we know it. Warcraft 3 was the 2002 sequel to Warcraft 2: Orcs and Humans, and was made by the now obscenely famous Blizzard Entertainment, the studio behind Diablo, Starcraft, and Overwatch. The game built on the Blizzard RTS tradition with a campaign for each factiont (he Orcs receiving two), which allowed for players to experience all sides of the story. This strengthened players’ attachment to each race, by examining their motivations and ambitions through CG and in game cinematics, reducing the heavy reading aspect of previous RTS games. 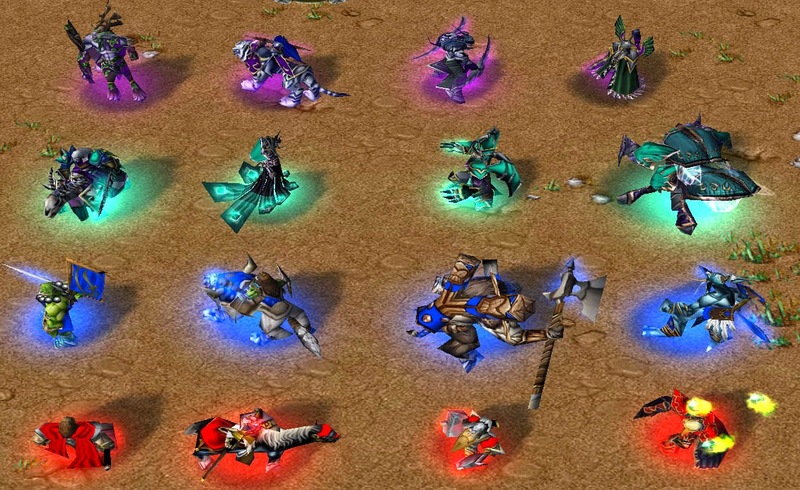 For the first time in the series, Warcraft 3 introduced Heroes, strong leader units with 4 abilities that would level up slowly throughout the duration of a game, becoming stronger and more adaptable that would allow the player to control their style of play with a choice of 3 (4 with the Frozen Throne expansion) unique heroes. The impact of some of these changes and stories lead to a massive changes in the gaming landscape, that gamers are still experiencing today. Simply put, World of Warcraft not only dominated the MMO market to this day, but it defined the genre to a mass audience. In 2007 alone, around the time of the Activision-Blizzard Merger, World of Warcraft had an estimated 9.3 Million Subcribers, pulling in $1.1 billion dollars in revenue. 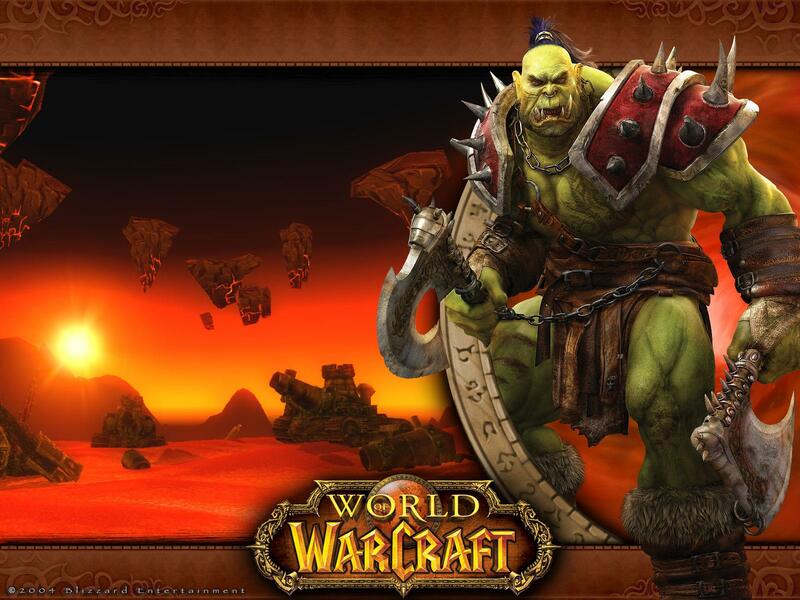 In 2010, World of Warcraft hit its peak with 12 million subscribers. While it was announced in 2001, World of Warcraft was heavily influenced by Warcraft 3, with character classes (Priest, Druid, Death Knight, Mage, Brewmaster etc) all being influenced by Heroes and Units of Warcraft 3. With some of the look and abilities of the heroes being taken almost verbatim from Warcraft 3 to World of Warcraft. As mentioned previously, World of Warcaft hit 12 million subscribers in 2010, around about the time of release of the Icecrown Citadel raid, the fortress of Arthas, the Lich King. Arthas had been a significant figure during Warcraft 3 and its expansions’ campaigns, and is arguably one of the best ‘Fallen Hero’ archetypes in the video game space. Arthas started off as a Paladin, warrior priests who wield the power of the ‘Light’ to smite the forces of evil, and as the prince of Lordaeron, a kingdom in Azeroth’s Eastern Kingdoms. In an effort to save his people from the Scourge, an undead army roaming throughout Azeroth and spreading a plague, he eventually succumbed to the temptation of power, becoming the very thing he tried to destroy. Arthas led the undead scourge to his homeland, ‘succeeding’ his father in a beautiful yet harrowing cinematic. Eventually, he was driven mad by Frostmourne, a blade that was wielded by the Lich King – the leader of the Scourge, traveled to the Frozen Throne, and put on the armour of the Lich King, becoming one with him. This is where Arthas was left, sat atop the Frozen Throne of Icecrown. Throughout all of 2008’s Wrath of the Lich King expansion, Arthas taunted players, whether it be in Quests or Dungeons. Then, Icecrown Citadel’s gates were broken down, and Groups of 10 or 25 Raiders entered the frozen halls to down Arthas. Icecrown citadel is arguably one of the best raids that Blizzard has ever released, with a wide array of fights, all requiring teamwork and skill to beat. For myself, this was my favourite experience of gaming, it became a staple for what World of Warcraft meant for a large amount of gamers, With many having played Warcraft 3, we were finally getting to fight the Lich King, a fight in the making for 8 whole years, and it was worth the wait. The build up of this fight across the expansion drove a spike in subscribers for World of Warcraft that it hasn’t hit since, with following expansions leading to a drop off in subscribers, whether it be poor content release, poor raiding content, or sheer exhaustion with the game. Arthas wasn’t the only aspect to the game that has foundations in Warcraft 3, with Sylvanas, the leader of the undead race being directly involved with the Warcraft 3 Campaign, as well as the Burning Crusade expansion’s lead characters, Illidan, Kaelthas and Lady Vashj. The Night elf, Tauren, Undead and more wouldn’t exist without Warcraft 3’s setting up those aspects. World of Warcraft owes its best days, storylines and characters to Warcraft 3. Without the world building of Azeroth during Warcraft 3, World of Warcraft wouldn’t have the foundations that it needed to conquer the MMO space. World of Warcraft owes much of its better days to Warcraft 3, in much the same way, modern games like Destiny, The Division and the upcoming Anthem owe it. 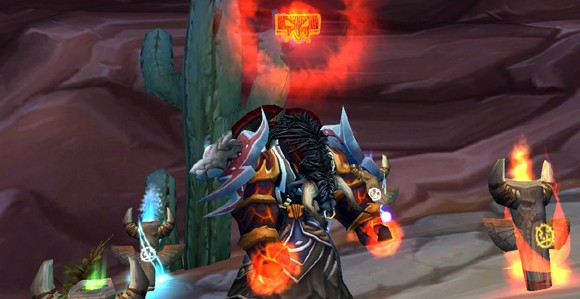 World of Warcraft brought the MMO landscape to the mainstream. While MMOs had been a thing for a few years, with games such as Ultima Online and there ilk, they hadn’t hit a mainstream audience. When South Park aired its “Make Love Not Warcraft” in 2006, World of Warcaft, which was already quite a storm in the world, hit pop-culture mainstream. South Park’s satirical nature perfectly summed up the game, with Blizzard’s help, became a massive hit and was labeled as South Park Creators Matt Stone and Trey Parkers 3rd favourite episode of all time. Combine this with marketing from the likes of Mr T, Ozzy Osbourne and William Shatner, World of Warcraft became one of the biggest names in online gaming, and with profits around the billion dollar mark, it cemented that MMOs were a force to be reckoned with in the gaming market. Activision obviously saw the viability of the MMO market, and when Bungie trotted out Destiny, it was clear where the inspiration came from: One developer Luke Smith, even acknowledged that his love of World of Warcraft’s Raids were a heavy influence on the raids we now see in Destiny. Even Ubisoft’s The Division went on to include MMO-like raids in the game. With more ‘Shared world’ games hitting the console space, it has become pretty clear that without World of Warcraft proving a well-made online social gaming experience is a massive pile of money waiting to be collected, these games may not exist. Other developers trying to catch up with EA and Bioware entering the market with Anthem, there is more to come, that is for sure. Many recent gaming juggernauts started out as mods for other games, before spinning-off into their own titles, sometimes outshining there predecessors in the process. Examples would include Counter Strike and Team Fortress, with Counter Strike: Global Offensive and Team Fortress 2 still going strong today. Although these games still played in the same genre to that which the mod originated, there is one mod that has lead to an Esports Industry with millions of viewers in a 2016 tournament alone: Defense of the Ancients. This mod was based on a map from Starcraft and adapted for Warcraft 3: Aeons of Strife. It consisted of a 5 versus 5 team battle where they fight to destroy towers, and eventually defeat the opponents Ancient, a heavy fortified structure. This lead to the term MOBA or Multiplayer Online Battle Arena. The Defense of the Ancients Mod for Warcraft 3 was originally created in Warcraft 3’s World Editor mode, leading to the traditional MOBA map, containing 3 Lanes and a “Jungle” containing monsters that can be killed for experience points. Warcraft 3 has enabled all of these features to exist, with ‘Creeps’ being a large part of the early leveling process during Warcraft 3. This allowed for the hero to level up without fighting the opposing forces straight away. Exactly as a Jungler character acts in a MOBA. The hero characters seen throughout MOBA’s, like Defense of the Ancients and League of Legends, follow an identical pattern to the heroes of Warcraft 3. Each hero in Warcraft 3 would have 3 abilities, some passive, some active cast abilities, with some needing to have their area of effect selected by the player character. Heroes would also have a 4th, Ultimate ability that could only be leveled up at certain levels. Item management was another element introduced during Warcraft 3. A character can hold a maximum of 6 items that work together to increase the stats of the hero, and would stay with the hero upon death. This is a MOBA standard. 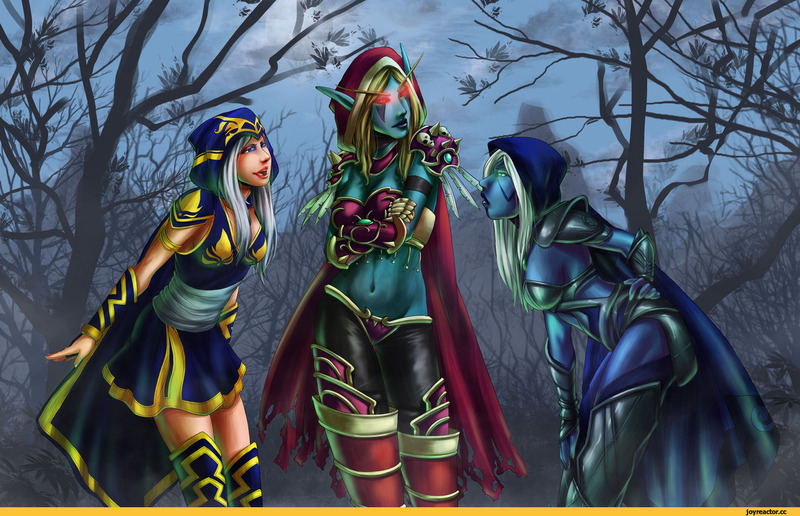 The look and feel of the Heroes of Warcraft 3 were carried into MOBAs, with Sylvanas Windrunner, A dark ranger being carried into DOTA as Drow Ranger and League of Legends as Ashe, with both containing elements of the original hero. Although heroes were not the only aspects carried over from Warcraft 3. The game’s general aesthetics and control scheme have permeated the MOBA genre at large, only changing very slightly with each iteration. It would not be surprising for the rumoured Warcraft 3 remaster to look very similar to current MOBAs. Considering all of this, there’s no denying that without Warcraft 3, MOBAs would not exist, or at least not in their current eSports-ruling manner. Originally, competitive eSports were confined fighting and RTS games. Shooters also began building dedicated fan bases and cultivating professional players. 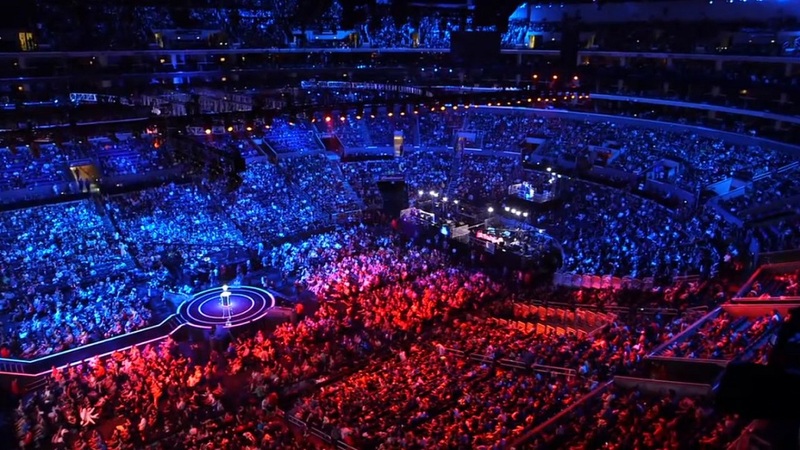 However, with the introduction of the MOBA, eSports were cemented as a legitimate spectator sport. The League of Legends international and world championships pull in tens of thousands of spectators and millions of hours watched in streams. Sports television network ESPN now shows League of Legends and DOTA2 on its channels. Even the BBC (UK) broadcasts the League of Legends World Championships. eSports, especially MOBAs have become primetime viewing, with the League of Legends World Championship filling a 40,000 seat stadium in Seoul in 2014. League of Legends Players have even obtained a union, forming a professional sport like no other. MOBAs in conjunction with the rise of platforms such as Twitch and YouTube, have driven eSports to new levels, with almost every publisher and hardware manufacturer now trying to obtain a slice of this newly tapped revenue stream. And none of this would have existed today, if not for Warcraft 3. The sad part of Warcraft 3 and the rise of the MOBA/MMO is that the RTS scene has taken a major hit. Many AAA publishers have forgone the RTS, leaving it to indies and smaller studios to keep the genre alive. While StarCraft did get a sequel, and RTS games such as Command and Conquer Red Alert 3 and Halo Wars have since been released, the genre is not the juggernaut it once was. Some of my first experiences in gaming came by way of early RTS games, during the 90’s when classics like Command and Conquer and Dune 2 were being released at a steady pace. Now, the base building RTS genre has become a dying breed, and players who would have been hooked on Warcraft 5 or Command and Conquer 18 are instead playing DOTA 2 and League of Legends. Several great gaming phenomena, including the success of World of Warcraft, the rise of MOBAs, the obscene money put into eSports, the impending death of the RTS genre, and the frequency of “shared world” game releases, can all be traced back to Warcraft 3. It changed the face of gaming, and is arguably one of the most important moments in gaming history, worthy of mention in the same breath as the NES, DOOM, Mario 64 and the Nintendo/PlayStation split.